Makes computer access simpler for people with reduced movement. Consists of movement sensor that can be attached with a soft strap to any part of the body, such as head, forearm or foot. Gentle, natural movements enable a user to move the cursor, click, drag and drop. A user can even write using an onscreen keyboard. 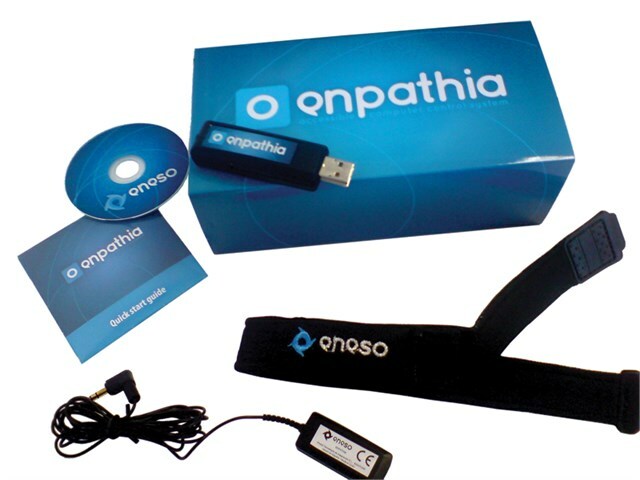 EnPathia can be easily configured to suit the individual, in terms of range of movement, speed and sensitivity. Use independently or with one or two input switches. Easily shared as each user can have there own customised profile.